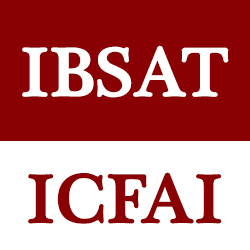 IBSAT 2018 or the ICFAI Business School Aptitude Test is being conducted every year by The ICFAI Foundation for Higher Education. On 22 and 23 December, IBSAT will be held in a computer based mode for admission to the MBA and PGPM programmes of the various campuses of IBS. The IBS application process has started and the form is available online as well as offline mode. The last date to fill and submit IBSAT registration 2018 is 12 December. Apart from IBSAT 2018, candidates will be granted admission on the basis of GMAT, NMAT by GMC, CAT scores. The candidates who have or are appearing in the final year of Graduation and have completed at least 15 years of education are eligible to apply. Also, the applicants must make sure that they have at least 50% aggregate marks in their Bachelor's degree. IBSAT 2018 will be held in a computer based mode and it will contain between 125 to 140 MCQs. The duration of the test is 2 hours. Go through this page for complete details on IBSAT 2018, dates, registration process, fees, result, etc. 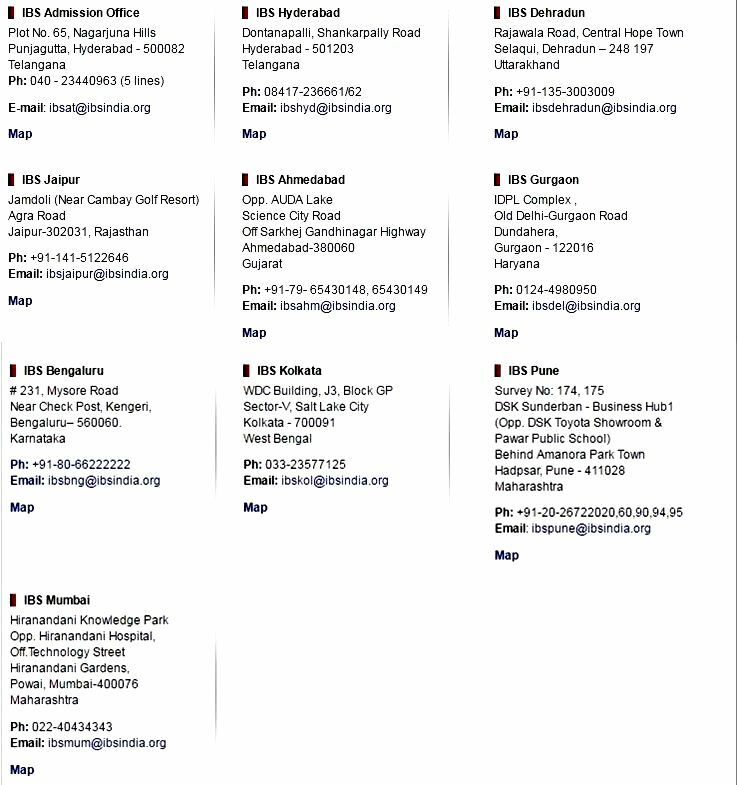 The table below provides the list of IBSAT 2018 dates. Aspirants are advised to be familiar with the IBSAT important dates to avoid missing deadlines. STEP 4: On successful payment of registration form applicants will get IBSAT Login details on their registered Email Id. STEP 5: IBSAT Bulletin will be dispatched to the address of the candidate within the 7 days of successful payment of the registration fee. Registration Form has to be submitted only through the Online Portal. Candidates who have bought the Registration Voucher by Cash also have to submit their registration form online. IBSAT 2018 Bulletin will be dispatched to the candidates within seven days from the date of filling the online registration form. The candidates need to pay the registration fee at the time of the filing of the registration form, The fee can be paid via online and offline modes and the IBSAT Registration Fee is Rs 1800. IBS Gurgaon, IBS Mumbai, IBS Pune. Verbal Ability - Incorrect words, Contextual usage, Punctuation, Analogies, English Usage, Vocabulary, Para Jumble, Comprehension of passage, etc. Reading Comprehension - In this part, the questions will be asked about the passages provided. There will be a total of 3 passages. Data Adequacy & Data Interpretation - Critical Reasoning, Logical Reasoning, Column graphs, Data Sufficiency, Bar graphs, Data Interpretation, etc. Only the applicants who have successfully submitted the application form will be issued the IBSAT Application Form. Candidates are required to download IBSAT Admit Card 2018 and keep a copy of the same for future reference. IBSAT Admit Card will be required at the time of IBSAT Examination for the verification purpose, the applicants can download the admit card from the official IBSAT website after the registration process is over. Candidates failing to carry the admit card of IBSAT 2018 to the examination hall won't be allowed to enter the exam hall and write the test. The IBSAT admit card will contain details about the candidate, the timing of the test, address of the exam centre, etc. Even after the conduct of IBSAT 2018, aspirants are advised to keep the IBS admit card safe. The ICFAI Business School will be releasing IBSAT result online and the shortlisted candidates will be eligible to participate in the Group DIscussion and Personal Interview round. For the GD and PI rounds of IBSAT, candidates are required to visit the IBS Hyderabad campus. The IBSAT 2018 Result will be available online and candidates are required to enter their credentials to access the same. However, the final IBSAT result will be prepared after the conclusion of the GD and PI rounds. The final selection of the candidates is not only based on their performance in the written exams, GD and PI but also on their performance in their past academic records. The selection process will be conducted at the listed below campuses and the candidates will be intimated by the email registered at the time of the submission of IBSAT Registration Form. The final selection of the candidates will be base done their performances in the GD PI and also the weightage from their previous year academic and educational record will be considered for the final admission. The ICFAI (Institute of Chartered Financial Analysts of India) is a not-for-profit Society. ICFAI has sponsored 11 Private Universities in different States leading to the Pan-Indian presence of ICFAI Universities. ICFAI Group is one of the largest Private Universities Groups in India.